I was prepared to write on a different topic today, but I feel I need to write this instead. Maybe there is someone out there that needs to hear this today. Two weeks ago I had a new patient come in that had been diagnosed with rectal cancer about 4 months ago. Her prognosis was fantastic, her oncologist prescribed chemotherapy and radiation, and told her she had a 90% cure rate. As hard as it was to have a cancer diagnosis, she felt it was just a “blip” in the road, and she would be past it in a couple of months. As a mom with two young children, a career and a husband, her life was full and busy. Friends and family rallied and she made it through her treatment. She finished treatment about a month ago, the rectal pain and bleeding which had alerted her to a problem, had resolved. Two weeks later, she started having rectal pain again. Statistically, she should have been fine and her oncologist felt the pain was not related to her cancer. Thankfully she went back to the GI surgeon that initially found the tumor with a sigmoidoscopy, and the GI doc took another look. She found that the original tumor had shrunk, but not resolved. Her tumor did not fall into the 90 percentile. She made an appointment with me, and I saw her while her Western team came up with a plan. I explained the importance of working with her immune system, and figuring out why her immune system had allowed the cancer to proliferate in the first place. 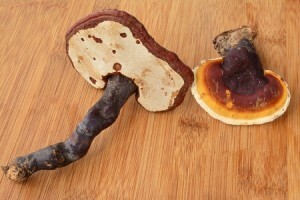 I spoke to her about important immune mushrooms like Reishi, Turkey Tail and Cordyceps. I encouraged her to read cancer research on each of these immune building mushrooms. I explained that often oncologists will not allow patients to take Chinese herbs during chemo treatment, but because the mushrooms are technically a food, often they are allowed. I also told her about an oncology hospital in Japan that does Western treatment, including surgery, chemo, and sometimes radiation and immune mitigating mushrooms are an important piece of their treatment regimen. A couple of days later she had an MRI to find that her cancer had metastasized to her liver. As you can imagine she was shocked and terrified. Her sister brought her in to see me on Friday, with the plan of starting chemo the following Monday. My heart ached as I brought her back to a room, it was difficult for her to walk because her rectal pain was severe. She got on the table and we started talking. She explained to me that the plan was to do the chemo that she had already done, and to add Cisplatin to the regimen. She explained to me that her oncologist told her he had not ever seen a tumor like hers, and that he did not know if adding the Cisplatin would work. She explained to her oncologist she was seeing me for her immune system, and I recommended mushrooms. Her oncologist responded, “absolutely not, no mushrooms.” He stated that if her liver enzymes increased he wouldn’t know if it was the mushrooms or the treatment. It is true that poisonous mushrooms damage the liver and cause the liver enzymes to increase. But these are not poisonous mushrooms. In fact, research shows the efficacy of these mushrooms in cancer care and the incredible impact to the immune system. I have many patients on these specific mushrooms, I take these mushrooms myself for my own immune system, and I give them to my children. This is a great introductory article in the Huffington post on the medicinal properties of SIX CANCER FIGHTING MEDICINAL MUSHROOMS. For the record, I support Western treatment for cancer. I support having cancerous tissue surgically removed, and I support chemo that is statistically affective. But my heart breaks when the “standard of care” is not working, and doctors do not offer patients alternative therapies. This is not a doctor specific issue, but a cultural issue. We need to work with and change our treatment paradigm. Eventually, medicine will come to terms. Humanity will comes to terms with the fact that healing comes from within. That us, doctors, the clinics, and the medications are the ones that facilitate that process of healing, so it doesn’t belong to us. It belongs to you as a patient. My true role as a practitioner is to empower and facilitate that healing within. I have hope that one day Western oncologists and natural medicine providers will sit together to create a plan that is patient specific and incorporates both destroying the cancer, and rebuilding the immune system. I have hope that after patients complete Western care, their oncologist will refer them directly to natural medicine providers to address why they got cancer in the first place. I have hope that patients will be encouraged to take medicinal mushrooms, that they will take the right essential fatty acids to repair their cell walls, that they will use detoxification to get rid of the poisons in their bodies. I have hope that they will heal and replenish their digestive tract with healthy bacteria; that they will learn proper nutrition to nourish their body, alkalize their pH, and decrease inflammation; and that they will learn the importance of taking care of their lymphatic system. I have hope that one day soon, our treatment paradigm regarding cancer will shift, and people will receive the care they so desperately need.